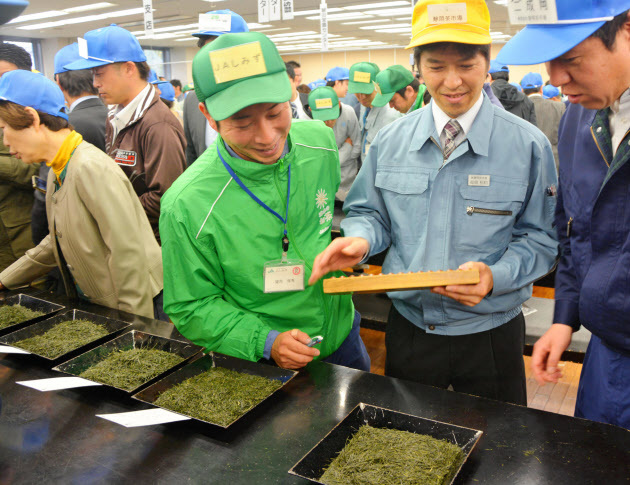 Japanese Tea Story : All-Time High Price Tea !! The first auction sale of the year in Shizuoka was held on April 24th. The price rose to a record high. Can you guess how much one kilogram tea is?? It’s 1,080,000 yen per kilogram!!!!! I know this is a season-opening festive market, but even so it’s ten times more than the best price before, which was 88,000 yen. In Japan, people celebrate the one who become 108 years old as “Chaju”, which literally means “tea celebration”. Taking the number 108 as a happy and lucky one, a buyer bid such a high price. What a generous buyer! !